I am always busy learning and exploring new ideas, books, podcasts, movies and music. I have a passion for learning new things. On this page, I want to share with you all my latest favorites! My hope is that you will enjoy these as much as I do. What’s happening? Who cares! Meet JOMO, FOMO’s benevolent younger cousin. The antithesis of FOMO (fear of missing out), JOMO is about disconnecting, opting out and being O.K. just where you are. 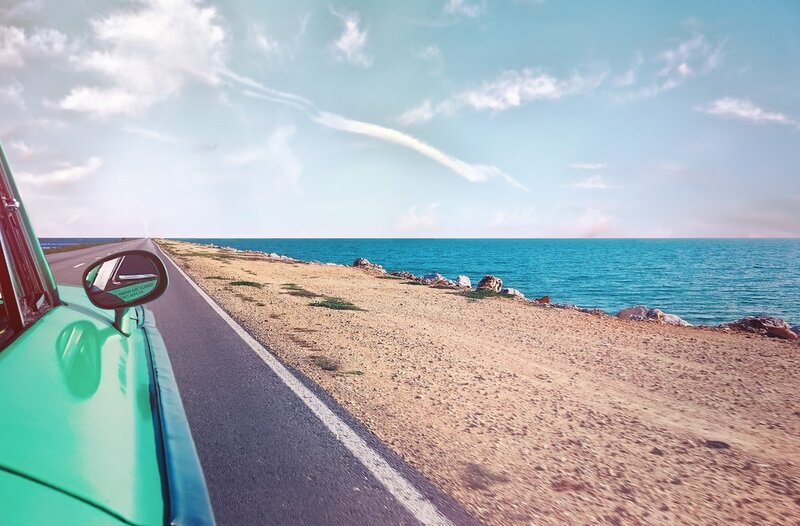 This article helps readers understand how our addiciton to technology is cutting us off from really living our lives in the present moment and helps us embrace the real world right in front of us, rather than worrying about what we are missing out on elsewhere. It's a great read with lots of good advice on how to be more present in your life so you can truly enjoy the summer and find joy in unplugging! 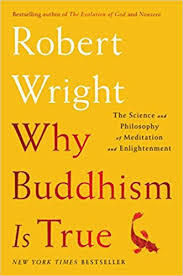 I was introduced to Robert Wright through a course he taught on Coursera (which is another thing I love - see What I Am Learning below), in which we explored psychology, evolutionary biology and secular Buddhist principles. It’s got all the things I love - neuroscience, mindfulness, psychology, Buddhist philosophy and much more! A fascinating read for anyone else interested in those topics! It also provides a powerful argument for having a personal meditation practice. I was riveted to the TV this summer praying for the safe rescue of the Thai boys soccer team trapped in a cave. The bravery of those boys and of those who helped save them was truly incredible and inspiring. There was an unexpected reason for the boys' upbeat and calm demeanor when they were rescued, given their dire situation: They spent much of their time while trapped underwater meditating under the direction of their coach who had been taught to mediate as a young boy when he was studying to be a monk in a Buddhist monastery. In fact, the boys were sitting in meditation when a British dive team first found them after nine days of search. In this article, Stanford University meditation expert Leah Weiss, who was taught by the Dalai Lama, says that meditating was crucial to keeping the group alive. As some of you know, two of my three children are vegan and I am almost there myself! So, we were thrilled to find this amazing book full of delicious (I promise they are), plant-based recipes that are pretty simple to prepare! We LOVE the vegan Mac & Cheese, the Veggie Burgers and so many other wonderful recipes that leave us feeling full and healthy! If you ever want to give a plant-based diet a try, this is an amazing and beautiful guide. I have read many of Michael Pollan's amazing books like The Omnivore’s Dilemma and Food Rules, and here he does it again exploring the potential of psychedelics (yes - psychedelics) for transformation of the spiritual and emotional kind. If you feel doubtful about the responsible use of psychedelic, after reading this book you may find your mind changed by this engaging, enlightened, and persuasive combination of personal and journalistic research. He also explains the parrallel effects of a deep meditation practice in reaching an altered state of consciousness. It's a fascinating read! What I Am Learning . . . Check out Coursera, an online university with an incredible list of courses from top professors and universities. There are endless courses on virtually any topic, and many are free! This summer I took one of the most popular classes at Yale University taught by Laurie Santos on The Science of Wellbeing. Laurie created the same course on Coursera and it was excellent! If you have not already seen it, go see Won't You Be My Neighbor, the story of Fred Rogers, his life and career. I remember watching Mr. Roger's Neighborhood growing up and loved all the characters and songs, but never realized all of the life lessons relayed in each episode. This film not only gives you a wonderful behind the scenes look at the making of this iconic TV series, but it also allows us to see into the heart and mind of this truly kind, brave and deeply compassionate man. The film reminds us of the deep humanity and compassion that we are so often lacking in our world right now. A truly inspiring film that should not be missed! What I Am Listening To . . .
Sam Harris's Waking Up Podcast - Many of you know that I am slightly obsessed with Sam Harris. I discovered Sam’s work many years ago when reading his book, Waking Up: A Guide to Spirituality Without Religion. Sam is the author of five New York Times bestsellers and he delves deeply into a wide range of topics, but generally focuses on how a growing understanding of ourselves and the world can change our sense of how we should live. He has a degree in philosophy from Stanford University and a Ph.D. in neuroscience from UCLA. I find his scientific approach and in-depth discussions with leading experts in a variety of fields ranging from politics to neuroscience, to the environment, to quantum physics (and much more), always engaging and interesting! Oh, and he is also a meditator and coming out with his own meditation app soon!